Make a statement with this extremely durable floor. Offering a rich warm color and distinctive grain, red oak flooring earns its reputation as a striking choice for any space. 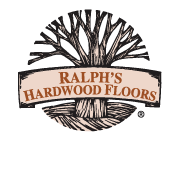 When you choose Ralph’s Hardwood Floor Company, you’re choosing artisans who take great pride in their work. The crews at Ralph’s are staffed by employees, not subcontractors, and our Crew Leaders average more than 15 years of experience. .
"We absolutely love our new natural oak site finished hardwood floor! Everyone at Ralph's was very helpful and professional, from the sales staff to the crew who put in the floor. Highly recommended!"